Megastar Amitabh Bachchan and son Abhishek suffered bruises after being mobbed by fans as they went to meet ailing Shiv Sena patriarch Bal Thackeray at his house, 'Matoshree'. Bachchan said they were fine but for minor scratches they suffered while struggling their way inside the house Wednesday night where supporters waited to hear updates on Thackeray's health. 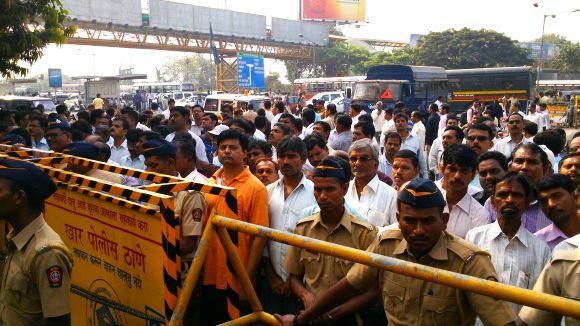 "Balasaheb Thackeray: a fighter all his life, fights his life! Prayers needed now! Yes both Abhishek and me were injured with cuts, but are fine and back home... the doctors at Matoshree attended on us," Amitabh posted on his Twitter. The 70-year-old actor also recalled how Thackeray had come to see him when he was recovering in the hospital after his accident on the sets of 1983 film "Coolie". "When I was flown in to Mumbai from Bangalore in semi-conscious state after 'Coolie' accident, it was his ambulance that took me to Breach Candy Hospital. When I fought for my life after 'Coolie' accident, he came to visit me in hospital, with a cartoon he had drawn -- Yamraj defeated! "Yamraj -- God of Death, defeated by me... wish I was as proficient a cartoonist as he, I would wish to draw that for him," he said. Thackeray, 86, was said to be in critical condition and on life support system last night though his condition is stable now. 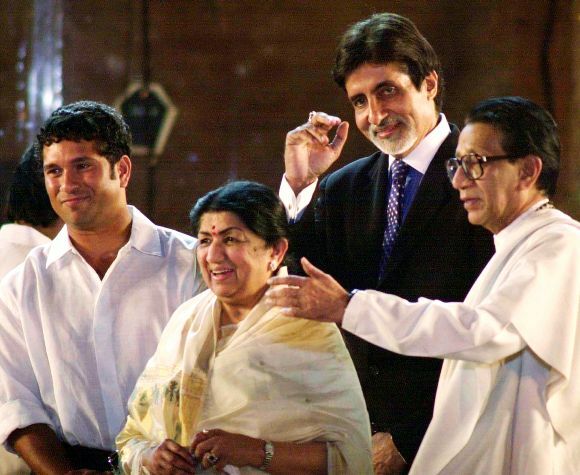 Amitabh said that Thackeray always treated him like family and had supported him during the Bofors Scandal. "When the Bofors Scandal accusations on us were at its peak, he called me home and asked 'tell me the truth, are you involved?' When I said 'No! ', he said 'Then do not worry about anything. I am with you. You are an actor, go do what you are best at'," he said. When Bollywood made our mouth water!